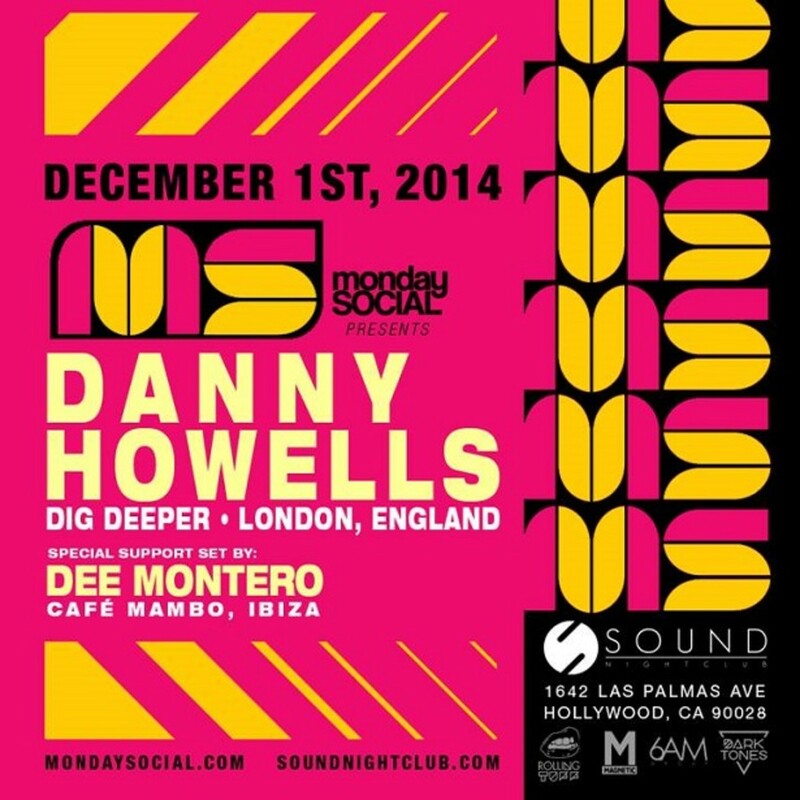 The legend that is Danny Howells makes his return tonight to Monday Social tonight at Sound Nightclub and joining him for this special evening all the way from Ibiza will be Cafe Mambo resident Dee Montero! Tickets are still available at $15 through Ticketfly at a very limited quantity! Do you remember your first gig in LA. If so what was your impression of the scene and how has it changed over the years? My memory is very vague as to which the very first gig was, although I&apos;m thinking it was a Giant Halloween party, in 2000 or 2001. I did a Ministry of Sound month long bus tour which was just amazing. I know I enjoyed myself that night and throughout the 13 or so years that followed there have just been so many great LA gigs. I always thought the vibe at the parties here was just phenomenal, with a really clued up and very supportive crowd. 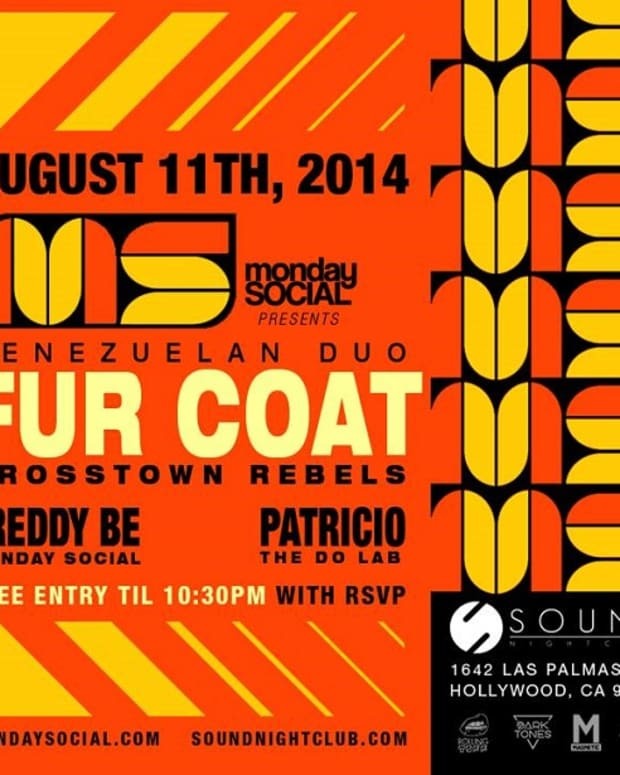 Do you recall your past events at Monday Social? What are your thoughts about the vibe in general and what do you hope to see at your upcoming show? As above really, just a really great crowd where I play exactly how I want without any pressure. We go back a long way and there&apos;s nothing but good memories, throughout the different venues and years. Do you find time to Listen to other Djs mixes? If so who are some artists you enjoy listening to? I&apos;ve always found it a bit tough listening to other DJs mixes .. partly because I still buy an unbelievable amount of new music every week which takes up a huge amount of my time. I never really feel I&apos;m as on top of it as I should be, especially with all the non-electronic stuff I buy too. I only really listen to my own mixes for a short while too before I ditch them and move on to new stuff. A little birdy had said you had worked as a Psychiatric nurse earlier in your life. This seems fitting, as you are renowned as being such a genuine and caring person. Is there validity to this and if so can you speak on it? Like how you got started and how has it been important in your life. Ah thank you. I worked at a psychiatric hospital for nearly 10 years.. I quit just after the release of my Nu-Breed cd, mainly because I had to choose between the two and the DJing really was a once in a lifetime opportunity. I loved the job though, feeling part of a team where you all relied heavily on each other. It was such an unpredictable job though, with serious highs and lows. I used to get on really well with most of the patients though and a large part of my job would be playing pool or taking them out for walks and so on. I used to be really good at skiving so I&apos;d often take a patient out and we&apos;d disappear for hours, walking along the sea-front or somewhere. I think the main thing I got from the experience was that it made me very non-judgmental and also made me see that absolutely anyone can be struck by mental illness. I&apos;m sure I&apos;ll get involved with it again somehow at some point.. If they&apos;ll have me back! You came up in an era where Dj could focus solely on there craft. Now to succeed it has become imperative that dj’s are producers, marketing gurus, label owners etc.. Do you feel this has affected the scene in good or bad way? It&apos;s just evolved and become something very different. But that was inevitable I suppose. All I can do is focus on what I think are my strengths .. that&apos;s basically just DJing! I&apos;m no business man at all, I produce when I want to produce, as opposed to forcing myself to stay relevant, and I really don&apos;t enjoy bigging myself up on social media etc. I always try to improve as a DJ as that&apos;s why I got into this in the first place and it&apos;s the thing I love more than anything else. Whether the scene now is better or worse as a result, I don&apos;t know really. Maybe the art of DJing is being lost a little bit but it will never go completely. The Global Underground releases are legendary and a staple of dance music for those who know. Your contribution to the brand being one of the best. Is there any plans for new releases with GU? In addition to GU is there any other compilations you are working on? Thanks again .. I owe you a pint. I was really happy with how my contributions turned out though, as well as the opportunities they gave me. My 24/7 (day disc) one is my favorite and one of the very few of my old mixes that I might sometimes dig out. My Miami cd gave me the chance to don the most ridiculous shirt and hair combo ever seen on a cd cover so for that I&apos;m really proud! I&apos;m not doing anything else cd-wise though, or at least there&apos;s nothing planned. I never know what&apos;s around the corner though and if the right thing comes along either this month or in five years time then I&apos;ll go for it. 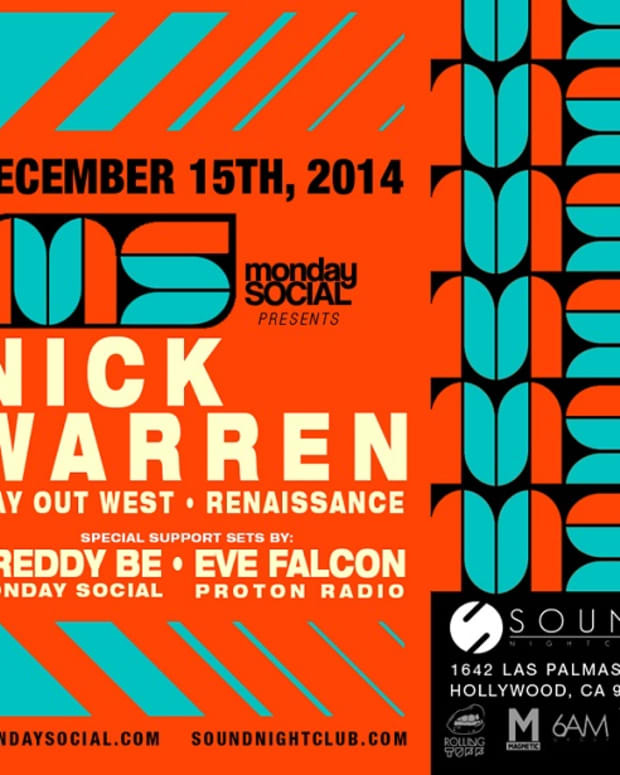 Sound Nightclub is located at 1642 N Las Palmas Ave Los Angeles, CA.